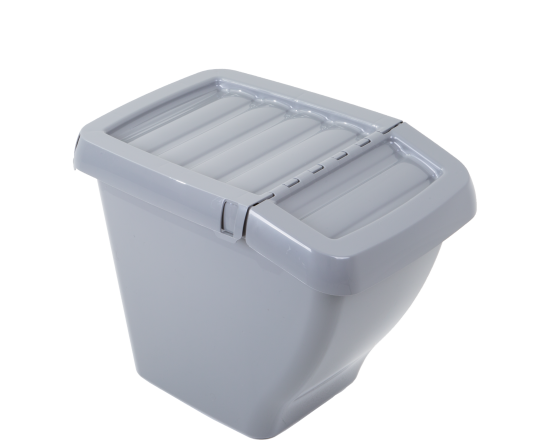 Medium 30 litre capacity storage bin made from reground recycled single use household plastic, helping to prevent more plastic going into our oceans. Secure, fully removeable lid with hinged lift up flap at front. Space saving, stackable design.